Applied over porous substrates prior to Unitex Texture coating and is coloured to shade of Unitex Textured surface applied finish to hide substrate varying colours, and varying absorbency. Apply directly from pail. Coverage is 50-60m2 per pail. When touch dry follow with the complete, as specified, Unitex system. Unitex® Uni-Substrate Sealer is a pigmented substrate coating and is based on acrylic co-polymers in a water emulsion specifically formulated for compatibility in the highly alkaline cement environment as a colour matching sealer. 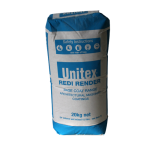 Unitex® Uni-Substrate Sealer is applied to masonry rendered surfaces to provide colour uniformity to the subsequent Unitex® surface applied finishing coat. 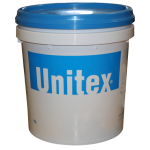 Unitex® Uni-Substrate Sealer is supplied in ready-to-use 15L pails. Approximate coverage per pail is 50-60m². Unitex® Uni-Substrate Sealer is for exterior and interior use and offers resistance to early hydrolysis and rain penetration into the substrate, as well as protecting and adding colour to the base substrate. To reduce blushing through of the substrate, Unitex Uni-Substrate Sealer is the ideal solution. Unitex® Uni-Substrate Sealer is compatible with all Unitex® acrylic renders and surface applied coatings.